Langa, meaning sun, was established in 1927 in terms of the 1923 Urban Area Act and is one of the oldest townships in South Africa. It was a focal area for much of the resistance against the apartheid government and as such has a rich – if often turbulent – history. It is well known for its cultural offerings, its warmth and sense of community and wide array of offerings available to visitors. The Eziko Restaurant offers a memorable African eating experience. Linked to the Eziko Cooking and Catering School, which was set up to teach members of the local community to cook and so provide them with marketable skills. Eziko is open for breakfast, lunch and dinner on prior request, and is a popular stop with tour operators. Lelapa, which means ‘the home’ was established in October 1999, inspired by an idea to create a restaurant serving traditional township cuisine and to allow guests to experience a small slice of township life. Catering for up to 100 people, Lelapa provides a warm, relaxed atmoshphere with a local marimba group on hand to provide the entertainment. Mzansi Restaurant was born through the vision of Nomonde Siyaka’s late mother. Serving traditional foods served in an authentic African environment, Mzansi’s has an in-house marimba band providing the tunes and the atmosphere, while Nomonde and her husband Ace are often around to interact with guests. Warm and welcoming, the restaurant is located in the heart of Langa and is a local favourite. A youth-orientated tavern that mixes two of the city’s best offerings – meat and beer. Perfect for those seeking a spot with a lively and welcoming atmosphere. A popular local shebeen/tavern, Fanie’s Place is the perfect spot to drop in for a couple of drinks before dinner at one of the restaurants in the area. The Langa Sports Complex is a multi-purpose sports facility, which has helped produce a number of local sportsmen, who have since gone on to represent South Africa in a range of sports, including cricket, rugby and hockey. National and Provincial teams – both local and from abroad – often conduct clinics with the local kids to help improve their skills and give them the best chance of success in their chosen sports. The complex is impressive and forms a part of many local tours. 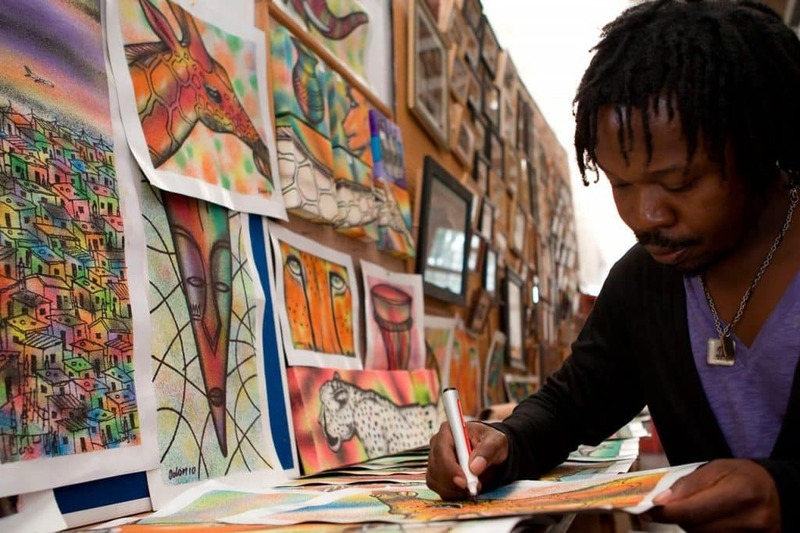 Guga S’thebe Arts & Culture Centre is a must-visit while in Langa. Housed in a brightly coloured building, the centre, like many of the businesses in Langa, is dedicated to the empowerment of the local people. The centre has exhibition areas, where there are regular exhibitions, art studios and a resource centre. The name Guga S’thebe is appropriate and has a rich cultural meaning. It is derived from the name of the traditional Xhosa platter known as isithebe that is used to serve guests and family members. The word signifies a meeting place and ubuntu because during meal times people sit around the isithebe to share a meal. Fittingly, the precinct is a shared public space where communities can come together and share a meal or their stories. The theatre, meanwhile, is a part of the wider Langa Cultural Precinct that has preserved the township’s rich cultural history and serves to support creative talent. The theatre project was developed in order to grow local audiences even further. The 200-seater auditorium was planned to cater for theatre, dance, music and film, while the centre as a whole services visual arts, design, crafts and performance. 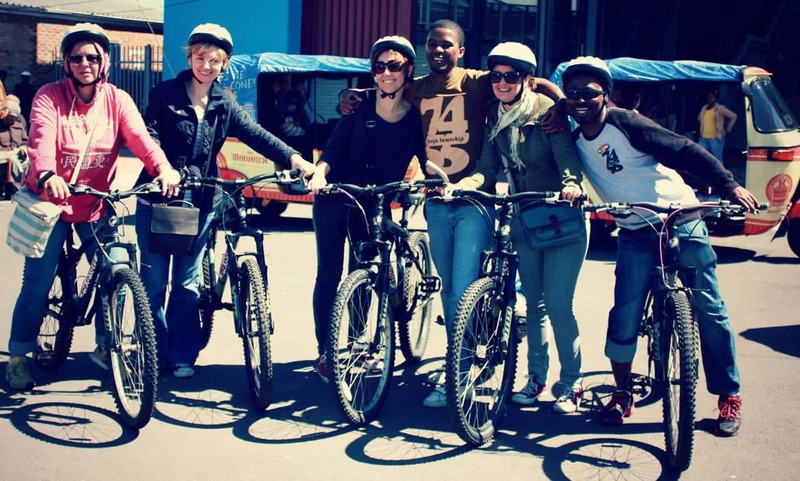 There are a number of tour operators that run a variety of options in Langa. Below are just a few that you can choose from, all offering unique and authentic experience of the area. Ubizo Events and Tours is a tour operator specialising in tours that encapsulate the locals’ lives. Tours include local African food at Mzansi’s, Ubuntu culture, traditional music, a rich diverse history as well as a ‘homestay’ experience, all designed to provide a genuine engagement with the local community. Learn about the history of the black community from Langa locals when you take a half-day tour with Camissa Travel and Marketing. Let your tour guide, who resides in Langa, take you on a walking tour of their neighbourhood to show you the township as they see it. Offering tours to small groups, incorporating the wealth of culture in the area and run by knowledgeable local guides, Sam’s Cultural Tours are a fantastic way to get to know Langa. Tours include visits to a family hostel, a shebeen and a traditional healer. Socialise with the young and old of Langa township during an informal game of soccer. 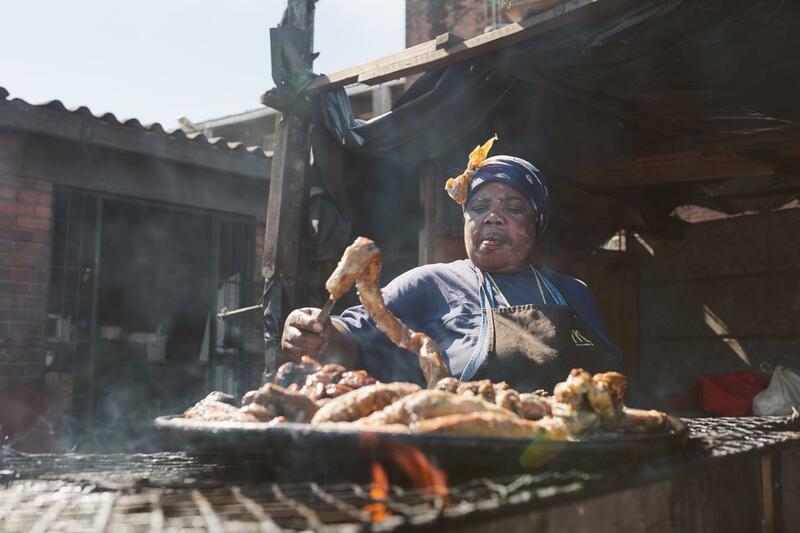 This tour also includes a “braai” (barbecue) and beer in one of Langa’s popular social venues where visitors can further mingle with locals. Ma Neo’s is the leading B&B in Langa, with great facilities ensuring a comfortable stayover and fantastic traditional food on offer. Lunch and dinner available on request and in walking distance of local shebeens. This Social Enterprise Hotel concept organises participating ‘homestay’ families under one group structure. The strategic benefits of a hotel; marketing, booking, training, are combined with the unique experiential quality of living with a family in a homestay. Other residents supply the LQHH with services, from laundry, food supplies and hair & pedicures. Locals have opened up their homes to travelers via Airbnb, allowing visitors an authentic experience and locals a chance to build a business. This area is such an Airbnb favourite that their co-founder Brian Chesky visited the area early in 2017 to congratulate the first nine hosts who graduated from iKhaya le Langa’s host program. iKhaya le Langa is non-profit organisation that seeks to uplift the community through tourism and social enterprise with Langa Quarter, a precinct showcasing the heritage of this area.